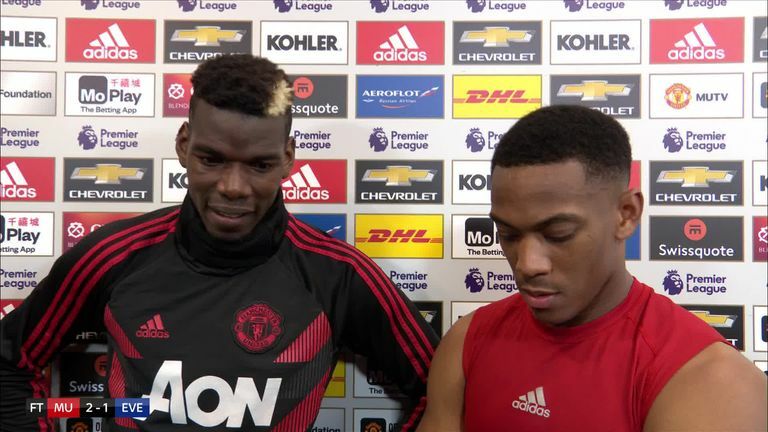 Manchester United midfielder Paul Pogba says he may change his penalty routine after his stuttered run-up almost cost him against Everton, leading to criticism from the Sky Sports pundits. 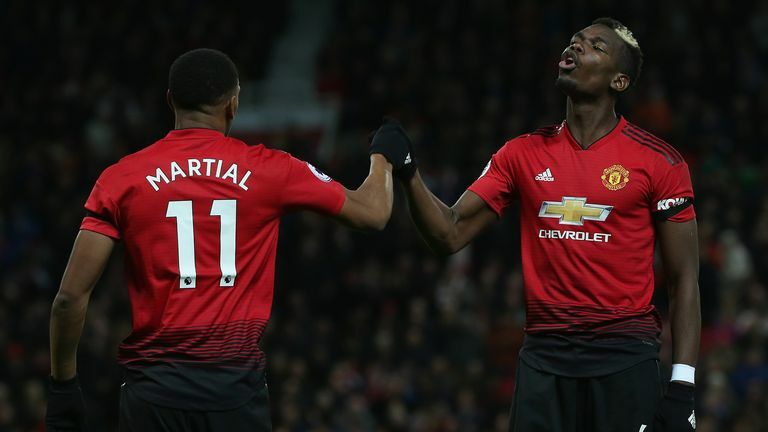 United were awarded a spot-kick in the 26th minute of the 2-1 victory at Old Trafford after Idrissa Gueye was adjudged to have fouled Anthony Martial, with Pogba stepping up to the spot. It was another strange run-up from the Frenchman, taking his time to get to the ball as he stuttered along - which he has done previously - and although his effort was initially saved by Everton goalkeeper Jordan Pickford, Pogba did slot home the rebound. Pogba admitted he got lucky with the goal, which put his side 1-0 up, and hinted he could change his technique in the future. "I always try to destabilise the goalkeeper. I always shoot like this and that's how I know how to take penalties," he told Sky Sports. "I may practise to change it because maybe the goalkeepers are starting to know my steps, but the most important thing is when the ball goes in. "Today, I was lucky, but the most important thing is that the ball went in and I scored a goal. It was good for us and it was good for me. Then after, we carried on and had other chances. But the most important thing was the win today." Former Manchester United defender Gary Neville commentated on the game and was not a fan of the long run-up, saying: "It's not right, it doesn't feel right. It's not how you would ever kick a ball in normal play - it goes against everything you're taught. "It feels for me like it's a little bit for show, for theatre. Cristiano Ronaldo used to do it at Old Trafford but it's not working for Paul Pogba." 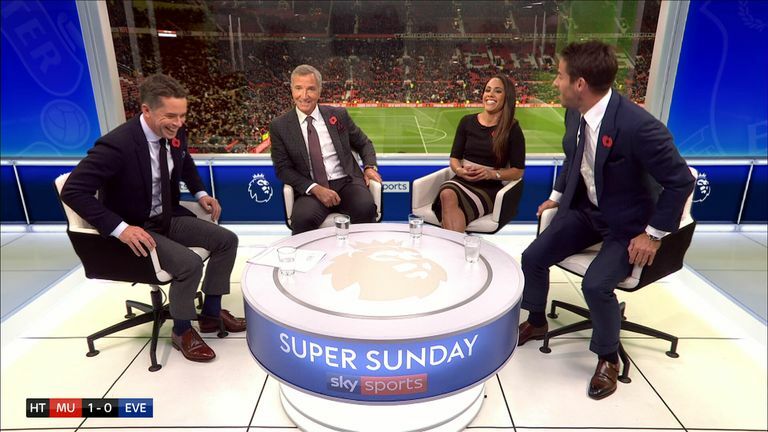 Graeme Souness - usually critical of Pogba - was impressed with his first-half performance but also agreed that there was a touch of ego about his penalty run-up. "I don't like to see this. I personally think it's a bit 'look at me, look at me'. I just don't get this penalty," he said at half-time. "I think he's moved the ball quickly today, he's been uncomplicated, but he's been really good today. If he can do that week in, week out, he'd be a properly top player."